Few men in Nebraska are better known in the cattle business than Charles F. Coffee, an honored resident of Chadron, and his interests in this line connect him with this great industry throughout the entire country. Mr. Coffee has been closely identified with the development of western Nebraska for many years and his spirit of public service, marked even in boyhood, and his gift of business organization, have been vitally helpful over a long extended period. He is an important factor in political life and a dominant one in the state in the financial field. Charles F. Coffee was born March 22, 1847, at Greenfield, Dade county, Missouri, a son of John T. and Harriet L. (Ware) Coffee, the latter of whom died in 1863, in Dade county. Of the six children born to his parents, Charles F. is the only one living in Dawes county at the present time. One brother was accidentally killed in Wyoming, in 1879, and another, Samuel B. Coffee, died at Harrison, in Sioux county, after which his family moved to Chadron. John T. Coffee, father of C. F. Coffee, was, born in Tennessee and educated for the law and in 1855, through the good offices of Honorable John S. Phelps of Missouri, was awarded a commission as captain in the regular army and in 1856 or 1857 was elected a member of the Missouri Legislature and chosen speaker of the house. In 1861, he raised a very efficient regiment of soldiers for the confederacy, serving under General Price and General Sheby of Missouri, and was, in all the battle of any note during the war. He distinguished himself on many occasions by unusual bravery and military tactics. On one occasion at the Battle of Lone Jack, capturing a body of Federal troops, almost unaided and was promoted to colonel. However, after the war between the states was over, being tired of military life he resumed the practice of law and drifted to Georgetown, Texas, and continued to follow this vocation till his death in 1893, at the age of seventy-five years. During boyhood Charles F. Coffee had but indifferent educational opportunities in reference to school training, but the practical lessons he learned while earning his own living from the age of twelve years, were doubtless, of far more value to him in after days than any knowledge he could have absorbed from textbooks. When the Civil War came on he succeeded in being accepted as a soldier in the Confederate army although only thirteen years of age. He was mainly engaged in his father's regiment and after the war closed went to Texas and tried several lines of industry, with very indifferent results. He farmed some, clerked in a store awhile, then owned a store and went broke. Mr. Coffee tried raising cotton, but the prices went down and the young financier went with it, and in 1871, he hired as a "cowboy" to help drive a herd of about eighteen hundred head of longhorns from Texas to Cheyenne, Wyoming, for Snyder Brothers. Young Charles showed such ability for his work that in one month he was promoted to foreman and his pay advanced twenty dollars. He worked for this company two years trailing cattle from Texas to Wyoming and remembers a circumstance which happened on the first drive. The first white man they struck in Wyoming was the station agent at Pine Bluff. This was the entire population at that time, and the little box depot the only building. Mr. Coffee entered the door and the agent was facing the other way and did not deign to look around. In the ticket window facing the cow puncher was a human skull and neatly printed on the forehead were these words, This man was talked to death by immigrants. Mr. Coffee after surveying this gruesome object for a short time mustered up courage to say, "Mister, I may he committing a rash act by disturbing you sir, but I am strictly in it. I am driving a large bunch of cattle to Cheyenne. I understand from here on water is scarce, can you tell me where the next watering place is located?" The agent proved to be a very pleasant man after all, but knew nothing about watering places, all he knew was to board the train and go through to water. The herd was driven all that day and a dry camp made, with no water for the cattle; they drove the next day till about one o'clock and the cattle were beginning to get pretty well fagged, when they fortunately struck a creek with a sandy bottom but no water, but found a place that still showed dampness. Mr. Coffee held his herd on this wet sand and milled the cattle around, and packed the sand until the water raised sufficiently to water them. The next day they came out in sight of a beautiful lake of water and could see Cheyenne in the distance--the sight was a glorious one and the cowboys shouted with delight and the cattle scenting the water were bellowing as they made a wild stampede for the water, and were soon up to their sides enjoying the first good drink they had had since leaving Pine Bluffs. Looking down towards the town they saw a cloud of dust rapidly nearing them and discovered it was caused by a horseman coming toward them. They did not have long to wait to find what the trouble was, as a very red faced and angry man reined up in front of them and shouted, "Get your cattle out of here, I am the mayor of Cheyenne." One of the boys said, "The H--- you are, we thought you was the butcher and wanted to buy some beef." This enraged the mayor to such an extent that he was in danger of having apoplexy. "Don't you know," he shouted, "this is the reservoir from which Cheyenne draws her drinking water?" Mr. Coffee tried to reason and conciliate him for nearly twenty-five minutes; he getting madder every minute, but by this time the cattle had satisfied their thirst and did not object to be again on the move to Cheyenne. Mr. Snyder met them; he had sold the cattleto a rancher by the name of J. H. Durban and Mr. Coffee drove the herd to Pole Creek about thirteen miles away where the nearest grass and water could be found, and tallied the cattle out. He was then ordered to deliver the cattle to Mr. Durban's ranch about twenty miles distance and all his instructions consisted of was to follow a line of small cedar trees which Mr. Durban had cut and set in a line to mark the way to his ranch. He was told to line his cattle out single file and beat a road to the ranch which he did and that same cattle trail is the present road which Mr. Coffee started with his cattle nearly fifty years ago. In 1879 Mr. Coffee homesteaded and preempted land in Sioux county, Nebraska, this land never since having gone out of his possession, its location being in Hat Creek Basin. In 1873, when he established his first ranch, in Goshen Hole, Wyoming, sixty-five miles north of Cheyenne, his nearest neighbor in one direction was eighteen miles distant and twenty-seven in the other. At that time the Platte river was the dividing line between the white settlers and the Indians, but the latter notably evaded every law, making the carrying and often the use of a gun an actual necessity and Mr. Coffee for six years never went to the spring for water without carrying his trusty rifle. With other settlers Mr. Coffee lost heavily in stock at times, and once, in 1877, while he was away on a trip to the nearest town, Indians stole every horse on the, ranch, all he had left being the four animals he had been driving. In an interesting way he tells how the horses were taught to recognize danger when they heard shooting, and seemingly with almost human intelligence, would gallop to the corral for safety, led by a favorite horse which the Indians killed to demoralize the herd so they could drive them away, but the plan was not a success, as the horses scattered and he rounded them up the next day. Those early ranch days were hard on both man and beast and Mr. Coffee relates that often he would be out searching for his horses, and cattle for three weeks without removing his clothing. Mr. Coffee ran cattle for about thirty years before quitting the range. In partnership with his eldest son, John T. Coffee, Mr. Coffee owns twenty-one thousand acres of land, all being operated, the son being foreman. It is known as the Square 3-Bar ranch, brand Z, and there about six hundred calves are branded yearly. Mr. Coffee owns also a ranch of about fifteen thousand acres, near Lusk, Wyoming, in partnership with a Mr. Tinnan, where they brand fifteen hundred calves annually, the brand being the 0-10, this ranch being known as the 0-10 Bar. A part of this land is irrigated. Mr. Coffee in the beginning stock his ranches with registered cattle, and has kept his line of White Face cattle thoroughbred but has not continued registration. He probably owns ten thousand head of White Face cattle. In April, 1879, Mr. Coffee was married at Camden, Arkansas, to Miss Jennie A. Toney, who died in November, 1906. Her parents were James R. and Jane (McClain) Toney, her father being a merchant and a former slaveholder. Mr. and Mrs. Coffee had four children, the three survivors being as follows: John T., who is associated with his father as above mentioned; Blanche M., who resides with her father at Chadron; and Charles F., who is vice-president of the First National Bank of Chadron. Mr. Coffee first became interested in banking in 1888, when he became president of the Commercial Bank of Harrison, Nebraska, which he converted into a National bank and afterward sold his interest. In 1900, he became connected as vice-president, with the First National Bank of Chadron, of which he subsequently became president. In 1900, he bought the bank at Gordon, Nebraska, serving first as its president and still is a director. 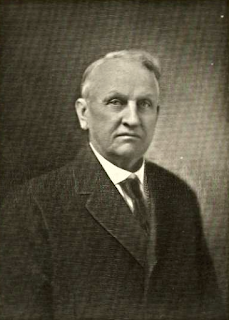 In 1912, he still further added to his financial interest by the purchase of the First National Bank of Hay Springs, in Sheridan county, becoming its president, and at the same time bought stock in the Stockyards National Bank of South Omaha, of which institution he continues to be a director. In 1911, Mr. Coffee and F. W. Clark bought the Nebraska National of Omaha, of which he is vice-president, and in 1915, Mr. Coffee bought the First National Bank, of Douglas, Wyoming, of which he is president. He owns considerable valuable real estate at Chadron, both residential and business, and erected the Coffee-Pitman building, a modern garage and other structures. In political life Mr. Coffee has always been a Democrat. In 1900, he was the fusion candidate for state representative from the 53d District, was nominated on the Democratic ticket and endorsed by the Populists and served in 1901, so acceptably that he received the party vote for United States senator, but declined to accept. Personally he is esteemed and in all business relations bears an unimpeachable character.